It has been a busy couple of weeks. The weather is finally warm and we can spend the weekend outside getting ready for summer. The chickens and ducks are growing. The chickens and ducks hiding in the corner of the coop. The ducks are only a week older than the chicks and much bigger already. I learned that the ducks aren’t so good at doing ramps. I had opened up the bottom of the coop for the birds a couple of nights ago – they love exploring. 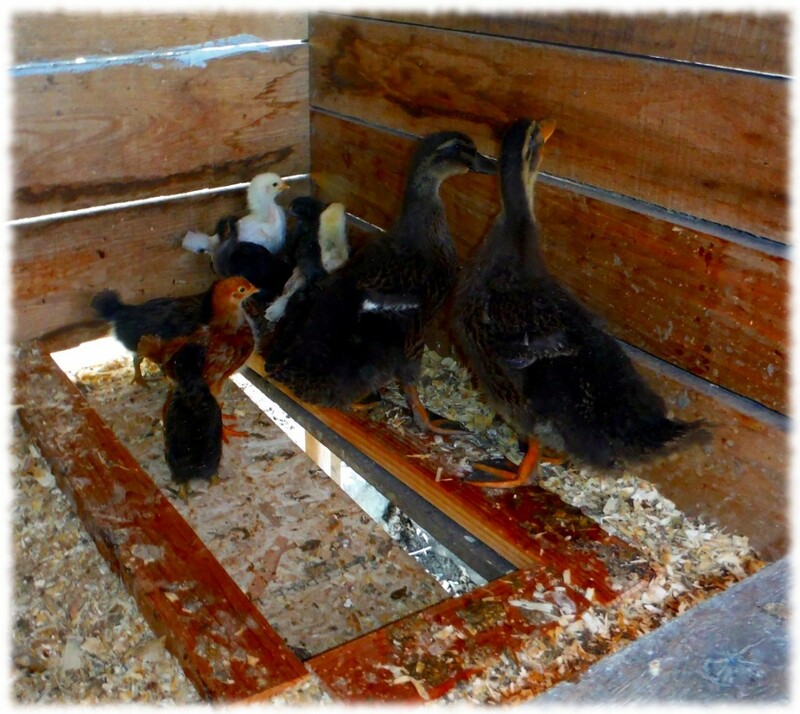 However, the ducks love sleeping under the coop, and the chicks seem to think the ducks are their parents, so they try to sleep under the coop with the ducks. And the ducks don’t seem smart enough to figure out how to get back into the coop. It still gets cool at night and I worry that without proper feathers the chicks and ducks will get too cold away from the heat lamp. So, of course, I spent three nights climbing under the coop to collect the birds and return them to the coop. Today I decided to close up the bottom until they are a week or two older. I was tired of crawling though the mud every night, no matter how amusing Susanna thought it was to watch me chase birds around a small cage. When they all have feathers I figure they can sleep wherever they want. The garden is mostly planted. We have three raised beds. A couple of weeks ago, I put onions and leeks in the first bed. I’ve never tried onions or leeks, so it will be interesting to see how that turns out. The second bed is filled with strawberries, but I think I’ll be able to squeeze a couple of tomato plants into the end where the strawberries have yet to claim. 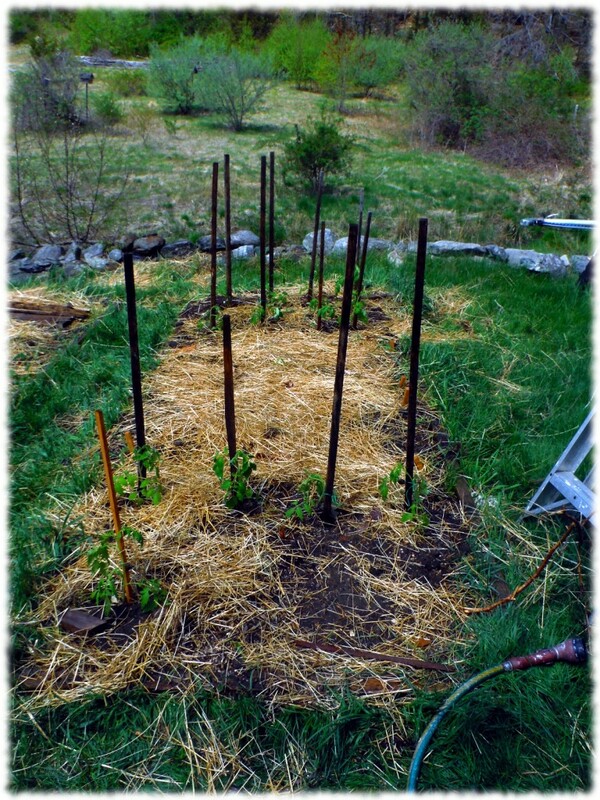 I planted summer squash, winter squash, and pole beans in the middle of the third bed. Today I planted 13 of the tomato plants on the ends of that bed. If the weather supports tomorrow, I’ll plant 5 of the remaining 9 plants in the garden and Susanna will take the final 4 for her pots.